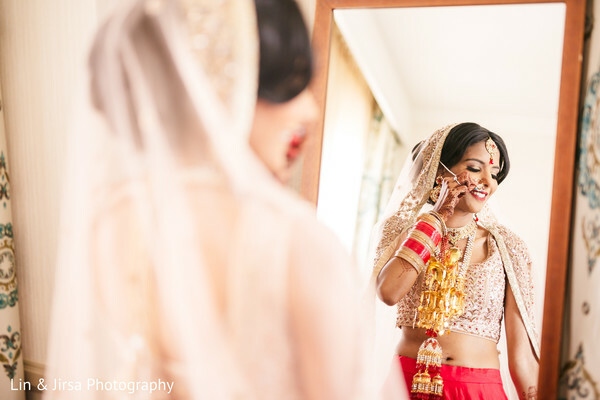 I love the photographs of a bride getting ready! 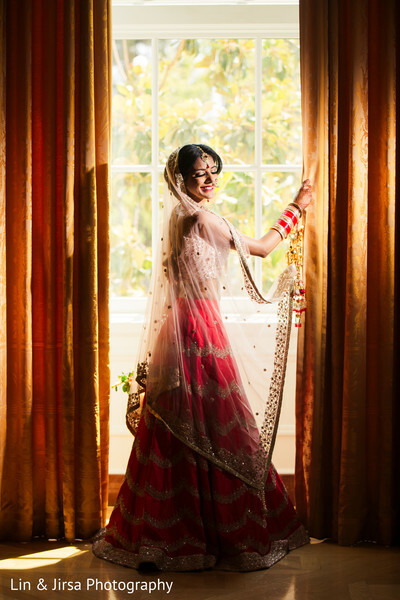 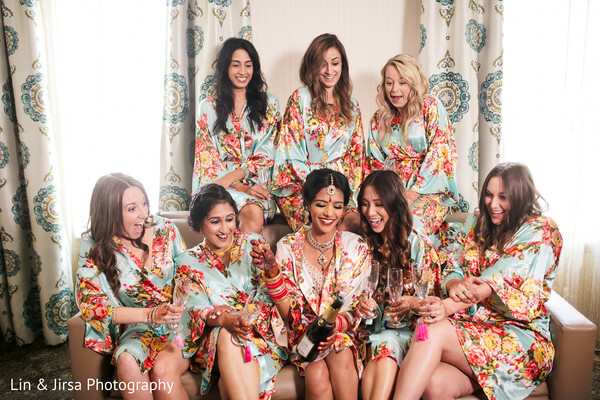 Ritika's big day began the moment she started getting ready surrounded by the personalized robes, the jitters, the drinks, and her besties. 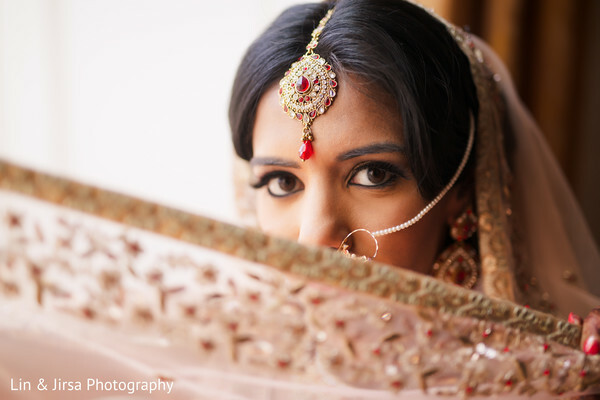 Lin & Jirsa Photography brings back these moments along with all the captures of the pre-wedding ceremony behind-the-scenes shots. 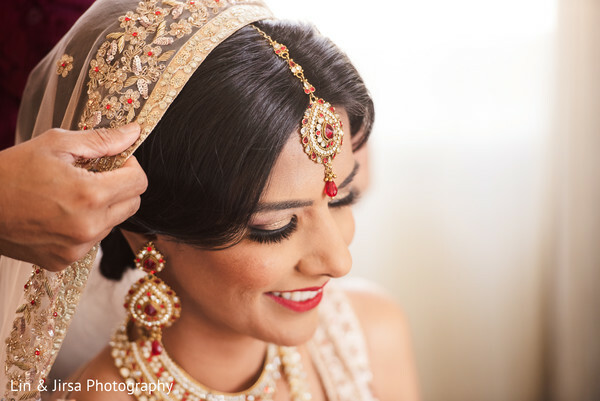 The talented photo team snapped Angievacamakeup’s glam crew in action, they were in charge of all the pampering and primping of the beautiful bride who chose a subtle makeup look and beautiful bun to complete her wedding garbs. 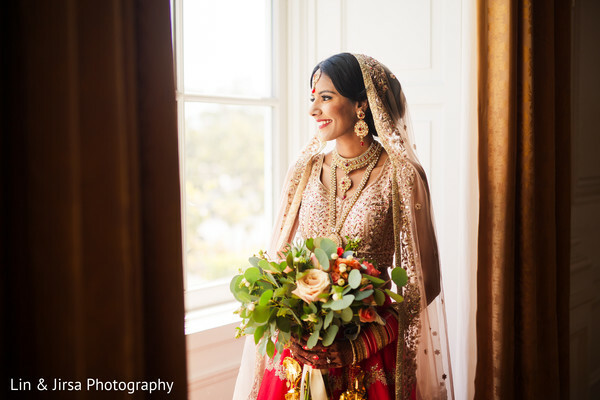 A cream and red lehenga set from The French Darjee was the perfect choice while the breathtaking dupatta was the most stunning piece from the ensemble. 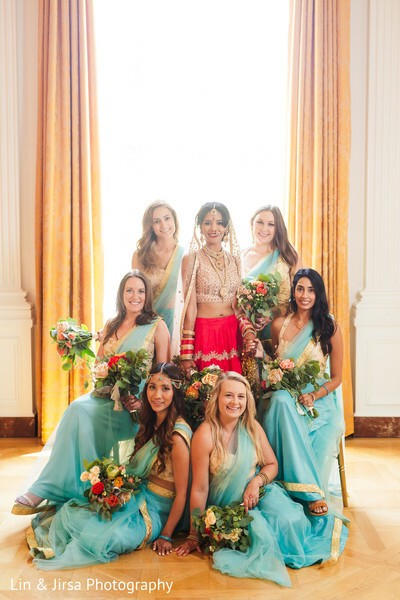 I especially love the bridal party looks, the ladies wore turquoise sarees and carried colorful flower bouquets to match the bride’s blooms. 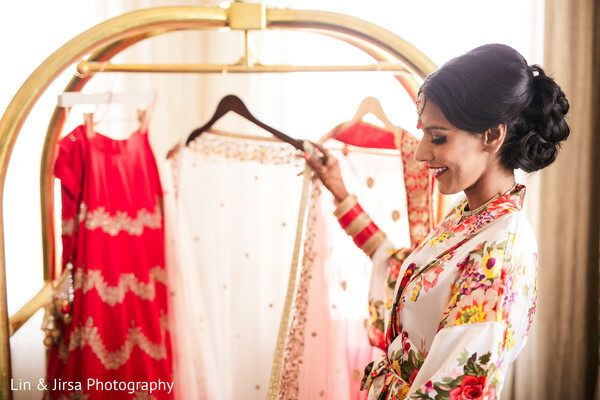 Check out the excitement of the “getting ready” moments and the intricacies of the bridal attire in the close-ups in our complete gallery! 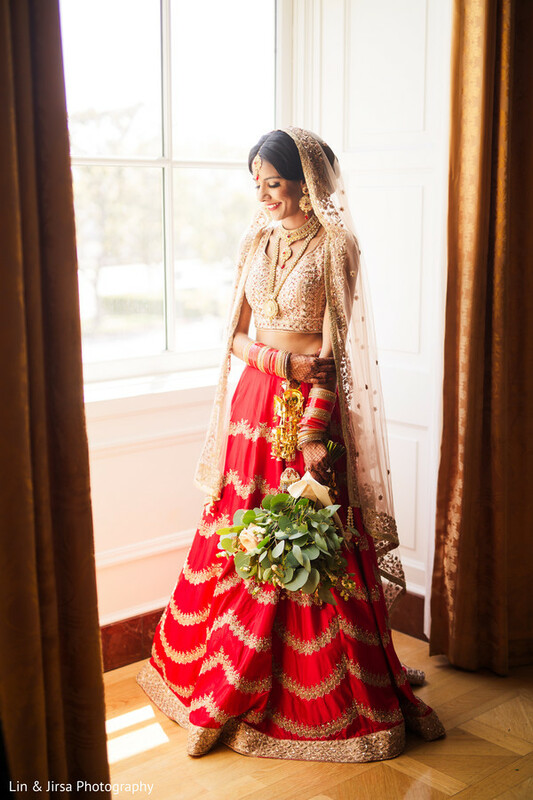 Get inspired, the ceremony imagery coming up next!